Carocelle® is a patent-pending technology utilizing the formation of vesicle-micelle chaperone molecules engineered to significantly enhance the bioavailability of carotenoids, including lutein and zeaxanthin, lycopene and resveratrol. Clinical trials have confirmed that Carocelle® Lutein and Zeaxanthin, Carocelle® Lycopene and Resveratrol and Carocelle® Lycopene are more bioavailable than other competitive products containing these ingredients. 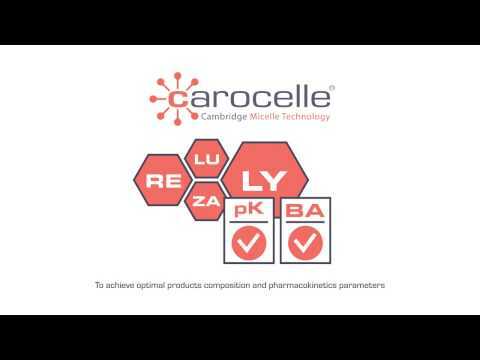 The unique technology of Carocelle® combines carotenoid vesicle-micelles formation, which improves the absorption of carotenoids, with specific chaperone molecules designed to and facilitate their incorporation into newly assembled lipoproteins, which are involved in their transport in circulation. Vesicle-micellisation helps carotenoids become more resistant to deterioration in the highly acidic stomach environment. This ensures that more active lutein, zeaxanthin, lycopene and resveratrol and other cargo molecules incorporated into micelle structures can pass to the intestines and be absorbed. Does your supplement really work? What happens with a nutrient in your body? What’s the real effect of a nutrient on your health?